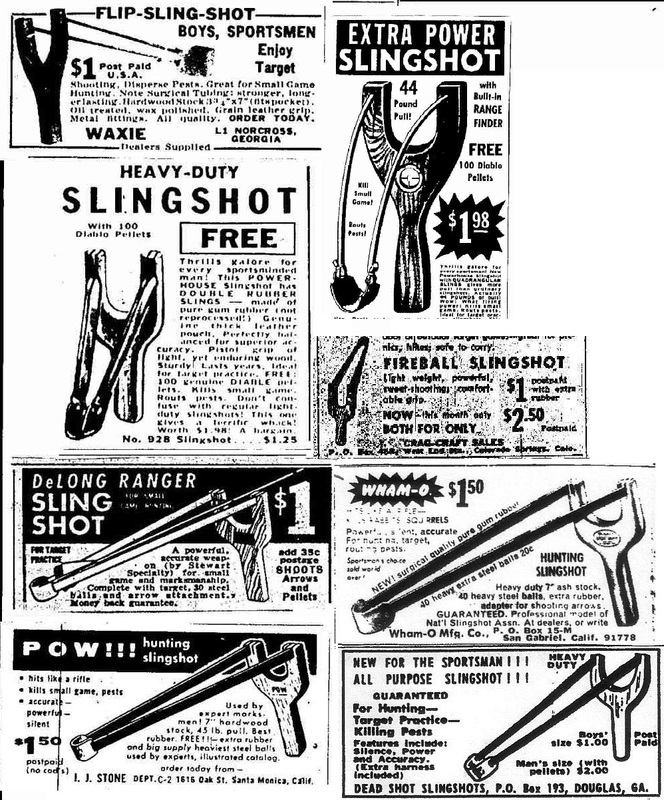 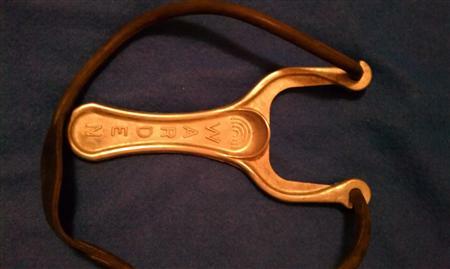 In 1976, the famous slingshot Inventor Rodney Wolf entered the Weber Company. 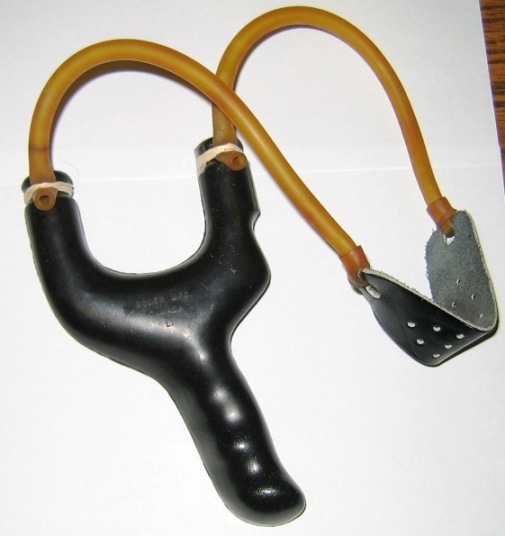 Wolf was a passionate slingshooter, and he made many experimental designs that led to a series of highly advanced slingshots that were named after feral species. 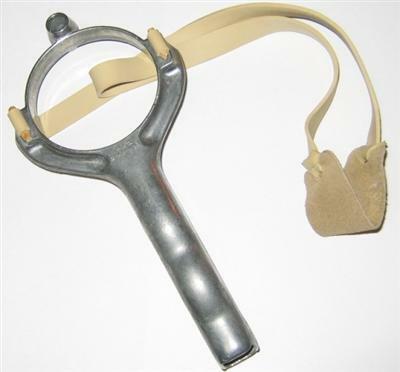 They all had a fork that was tilted 45� to the side and used thin, tapered bands that were attached on rotating studs, thus giving the shooter a high degree of performance and band life. 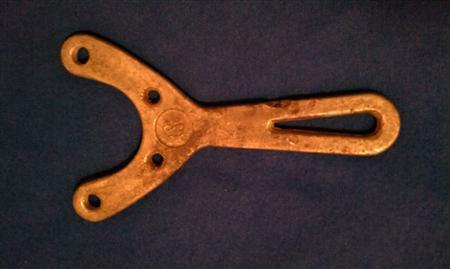 The "Cats" had a fork that was either made from flat metal or late from bent rods. 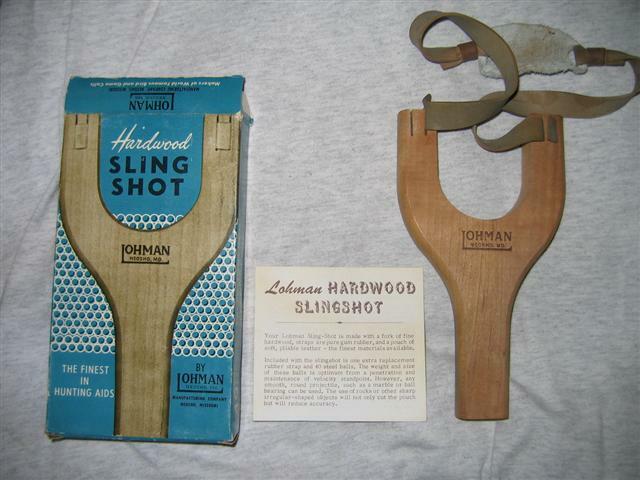 The slingshots were either equipped with a wristbrace or with a leather strap. 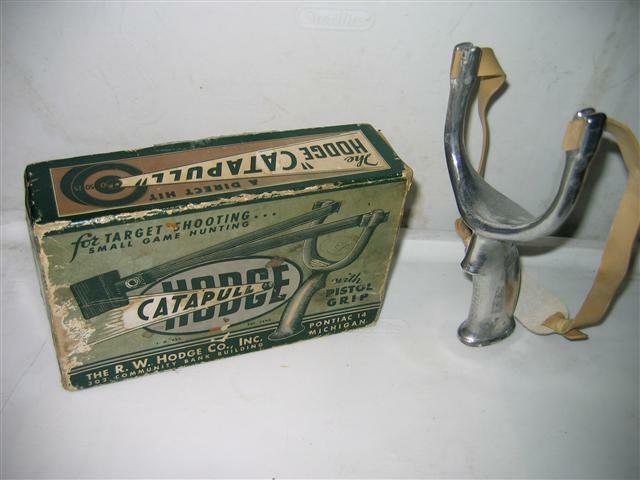 There is some comfusion about which name belongs to which version, but one thing is sure: The "Cats" are among the highes sought-after collectors slingshots, and are very well made and advanced designs. 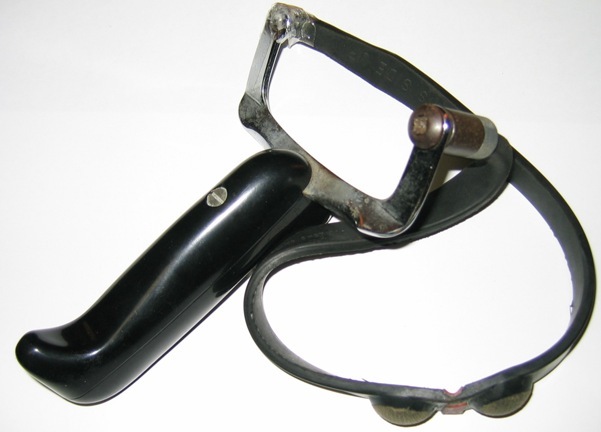 The "Magda Ding Dong" is as truly as strange as its name. 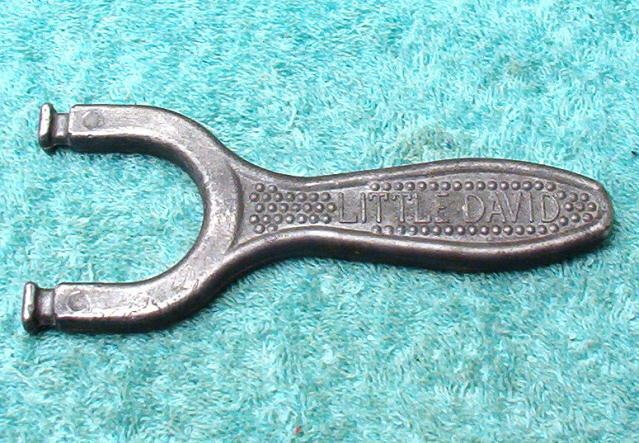 It was manufactured in UK by Harringtons, Walton-on-Thames. 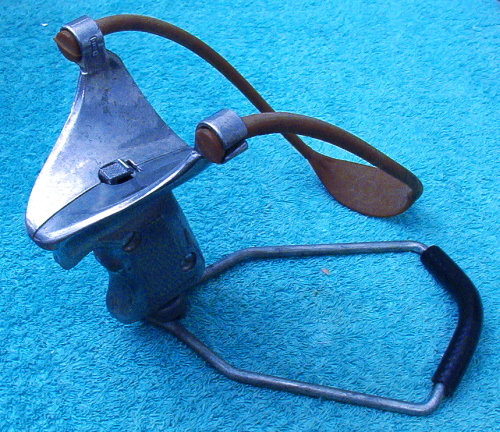 Production date is unknown. 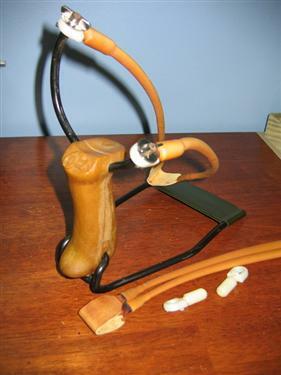 Its body is made of cast alloy, the folding wristbrace is bent steel wire with a length of synthetic tubing. 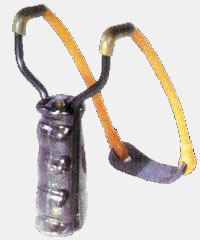 Its handle has an ammunition reservoir inside, with a small spring-loaded door at the bottom of the yoke. 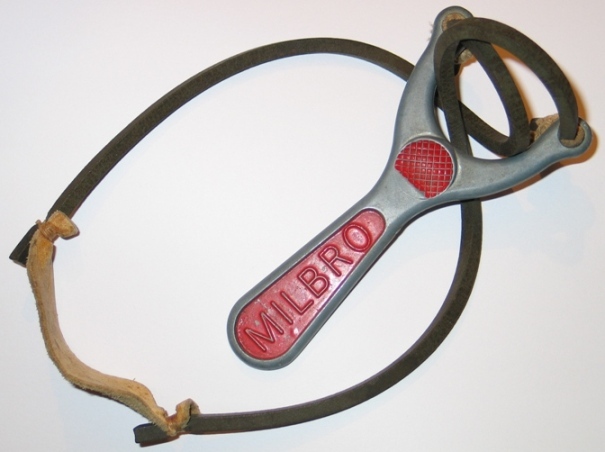 One of its most unusual features are the one-piece molded bands. 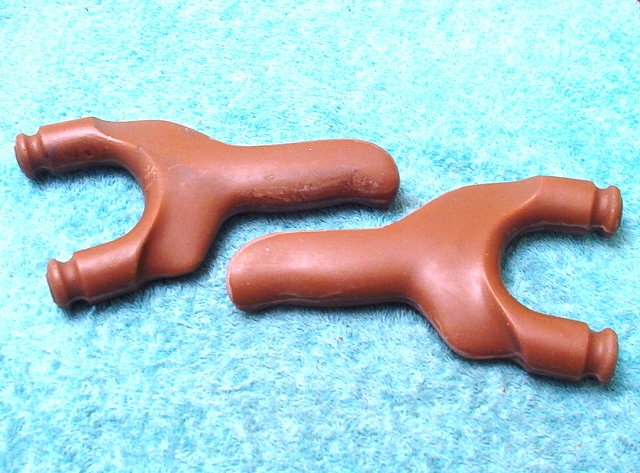 They are solid round rubber, tapering down from 3/8" to 1/4" at the pouch. 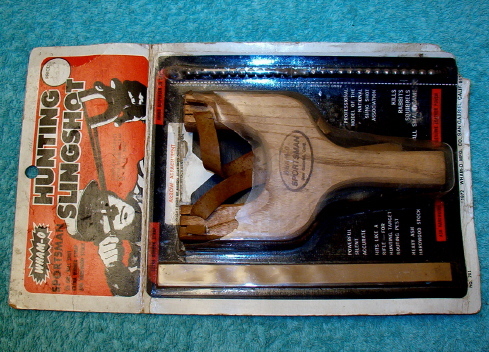 Such one-piece band assemblies are usually found on very cheap toy slingshots because they perform poorly. 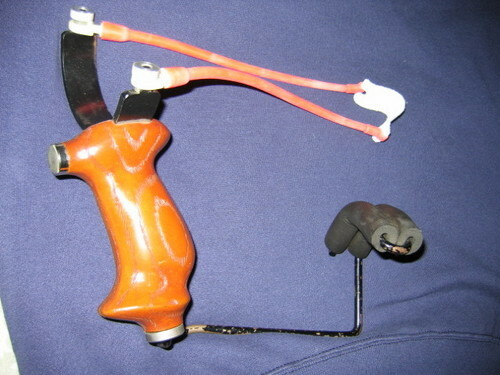 One the one hand, it is clearly visible that quite a lot of effort was put into this slingshot: It has a contoured handle, an ammo reservoir and the wristbrace is attached on a swivel that allows it to be folded to the side of the slingshot. 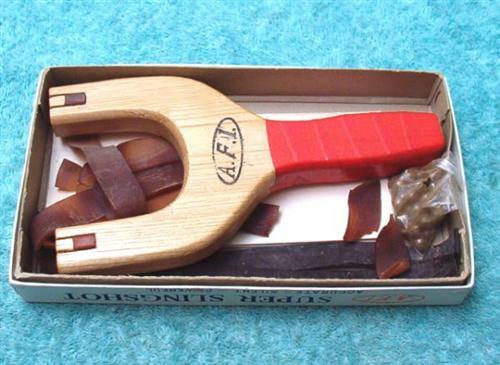 I'm sure it was quite an expensive model back in its days. 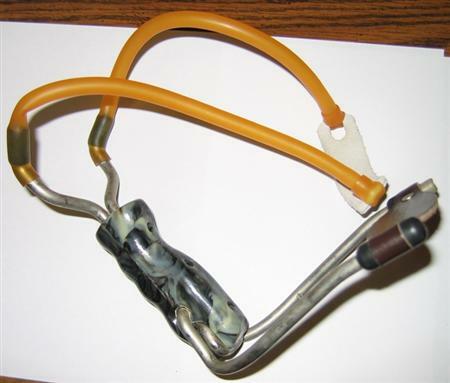 On the other hand, there are the low-performing one-piece bands, with an attachment that prevents you from installing any other type of bands. 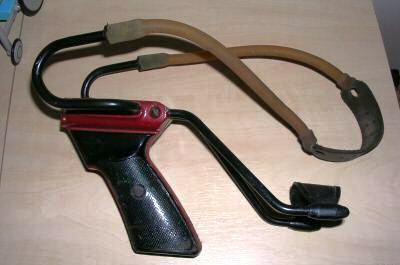 I know two owners of this slingshot, and both complain about an uncomfortable wristbrace, low power at high draw weight and poor acuracy. 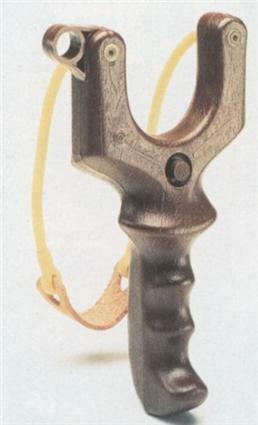 It is a great collector's item, but the Ding Dong will not become your favourite model for shooting. 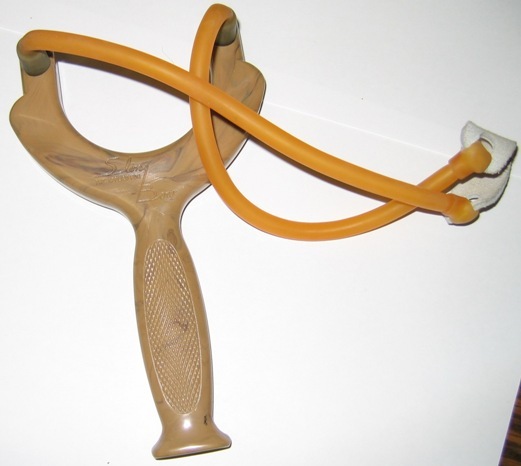 We can speculate what went wrong - maybe it was designed by a professional toy/household goods designer who had little knowledge about slingshots? 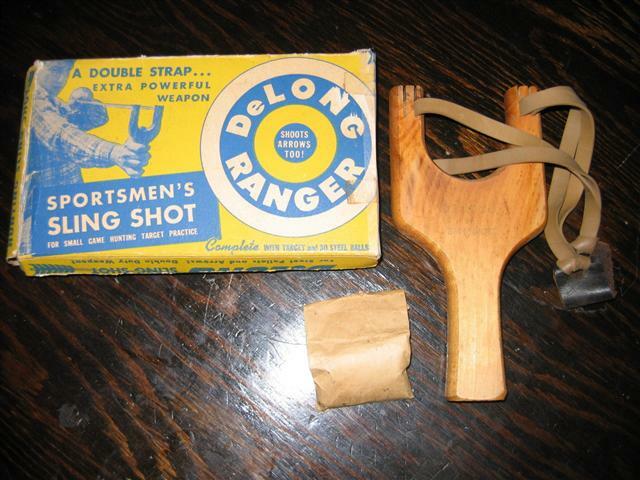 Note: The "Ding Dong" was also sold as the "Gee-string". 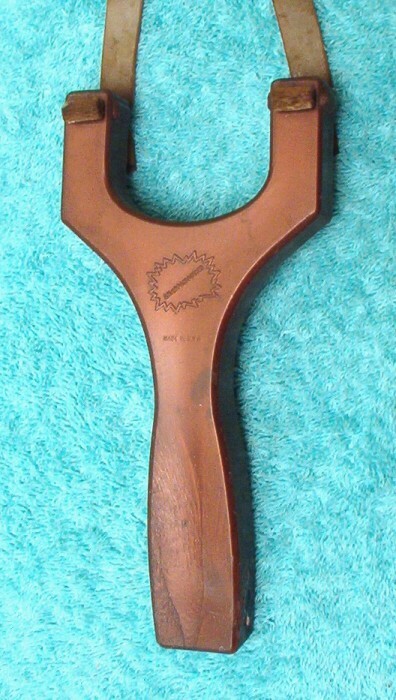 The Dingdong says "Ding" on the left and "Dong on the right fork". 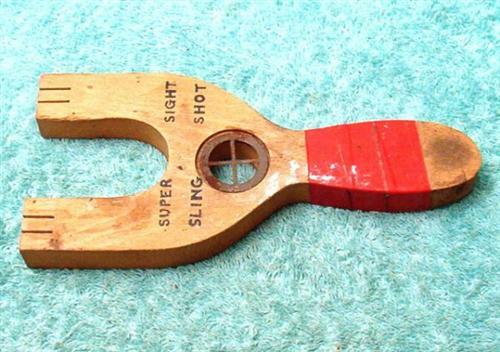 The Sharpshooter was made in Beeville, Texas in the 50's. 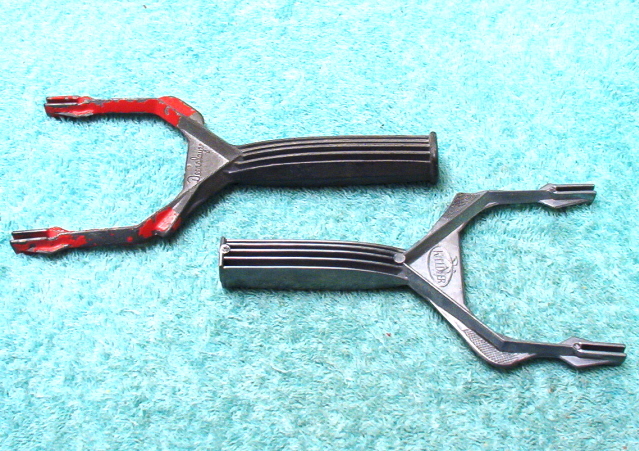 The frame was made of plastic and had quite an interesting way of attaching the bands: They were simply pushed in slot-like holes. 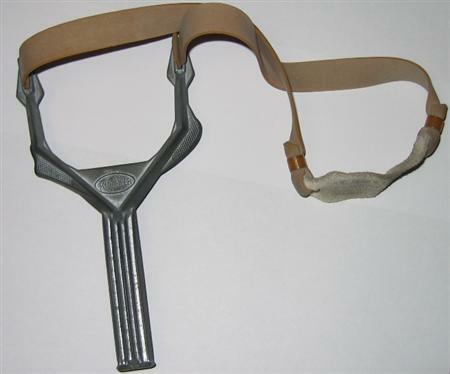 The slingshot was shot "over the top", the bands ran over the top of the slingshot, thus reducing wear on the attachment. 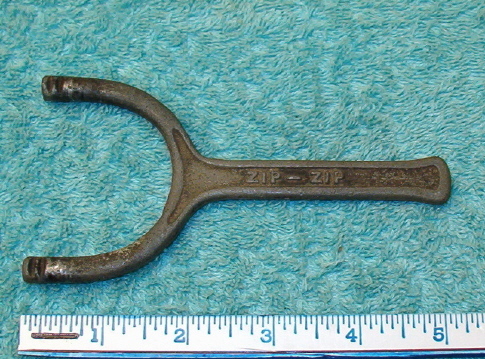 The handle had a small angle and the fork could be supported by the fingers. 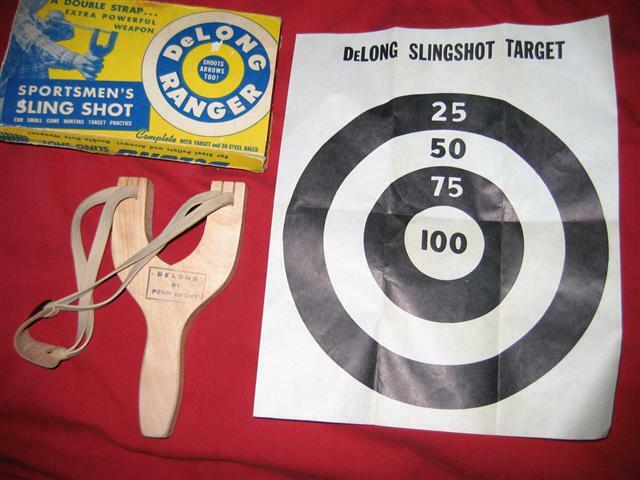 The Marksman "Fireball" was an all-plastic slingshot. 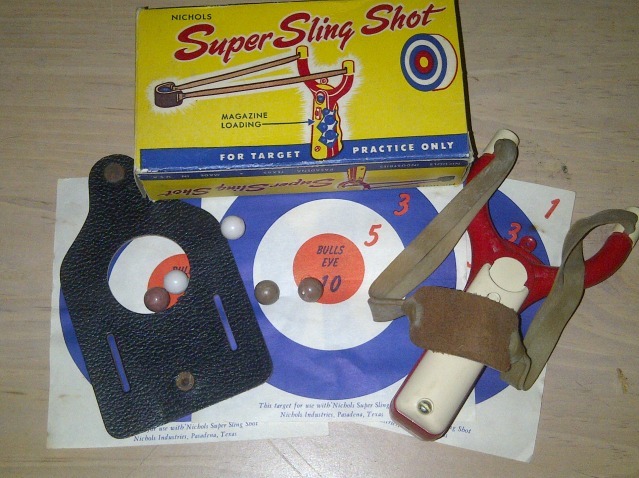 It had an ammo storage that released a steel ball when the button on the front was pressed. 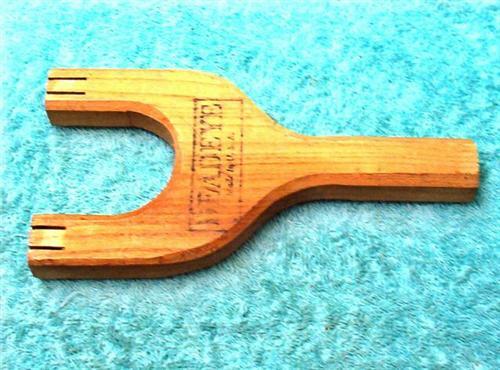 The fork was meant to be supported by the fingers. 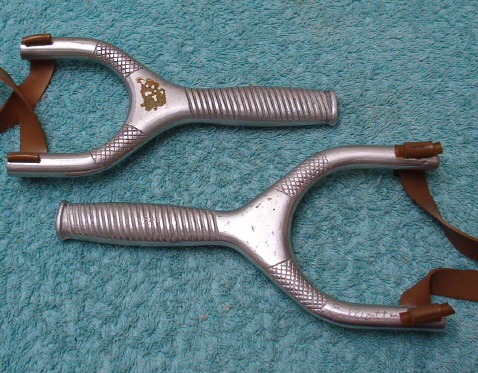 Two versions existed. 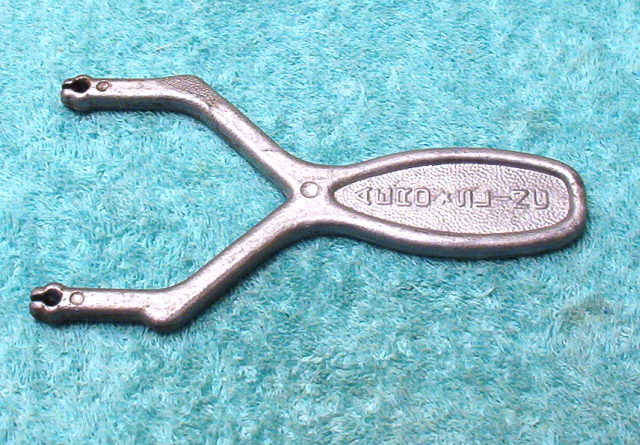 One - probably the earlier model - accepted flat bands that were held in place by studs that were molded on the rear side. 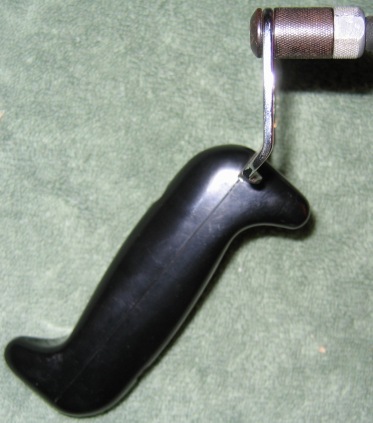 The second versions uses tubular bands and has a small peep sight. 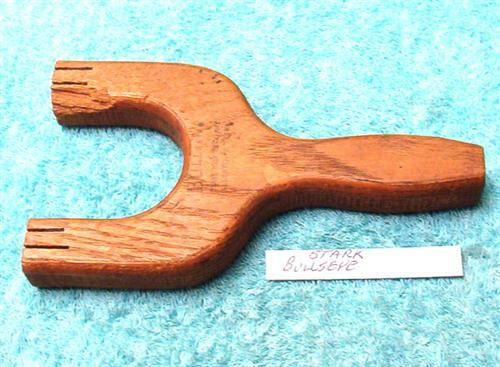 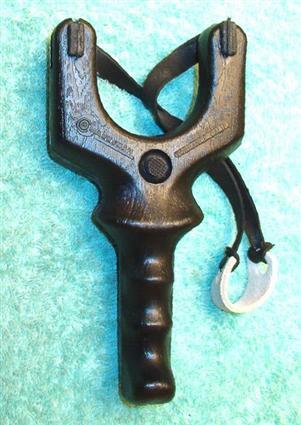 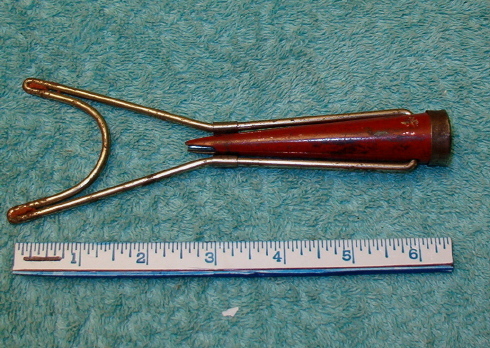 A cast metal slingshot that was made in England. 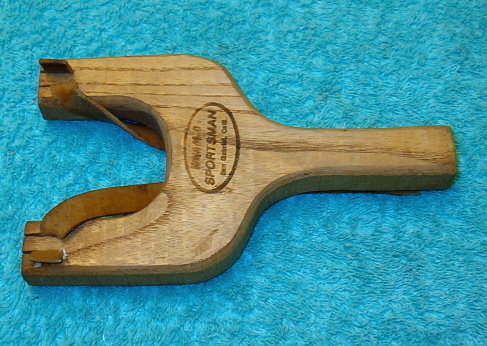 The two lower holes in the fork may indicate that the TSL used four-strand rubber bands - attached all around the frame. 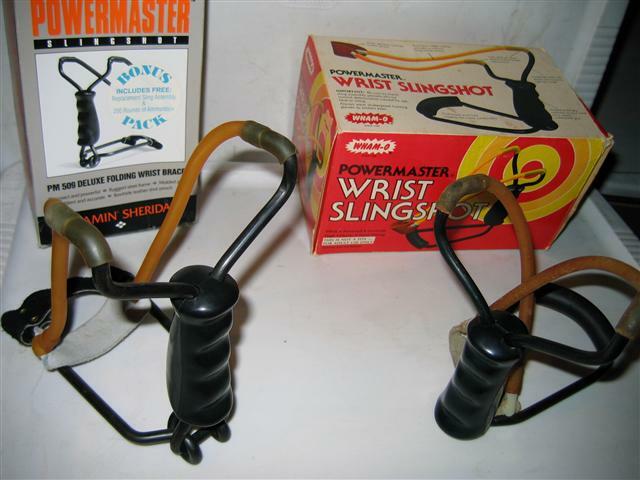 Several slingshots tried this design, but it is inferior to bands running along close to each other.